There will be another spunky angel around the throne tonight! 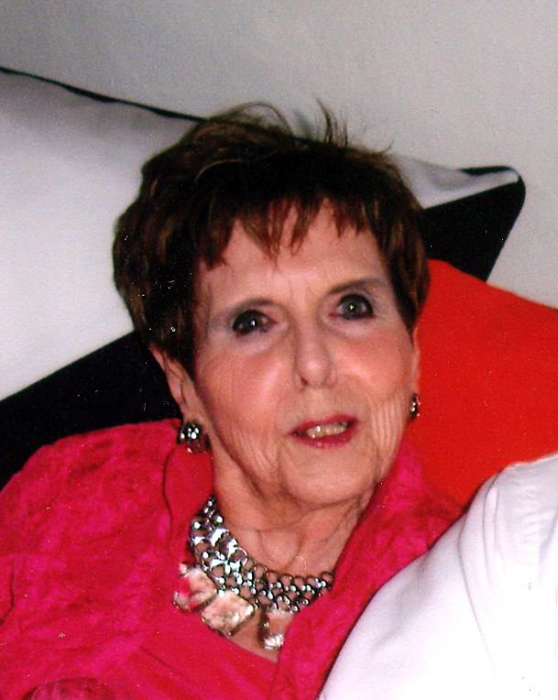 Sue Ann (Atwood) Clay, age 84, who was born and raised in Graham, Texas, raised her family in Seymour, Texas and lived in her later years with family in California, returned to Seymour in April, 2016 where she remained until her death on January 25, 2019. Her family invites you to attend the celebration of her life on Monday, January 28th at 10:00 am in Morrison Funeral Home Chapel with internment immediately following at Pioneer Cemetery in Graham, Texas. Sue Ann Atwood was born August 16, 1934 in Bunger, Texas to Lois and Andrew Atwood. She married Robert (Bob) Clay on June 21, 1952. Sue Ann was an avid real estate broker who learned about ‘land and cattle’ from her beloved Father. She sold real estate for 30 years and loved every moment. Walking ranch land and sharing how to graze here and water there was a highlight of her life in real estate. She made friends in real estate near and far. She is survived by one son, Rob Clay, Seymour, Texas,and two daughters, Julie (Clay) Davis and husband, Phil, Seymour, Texas and Melissa (Clay) Allensworth, and husband Doug, Novato, California. She had four grandchildren whom she adored ­– Chris Pope and wife Sadie, Seymour, Texas, Colby Davis, The Colony, Texas, Amber Gee and husband, Mickey, Dean, Texas and Emily Allensworth, Novato, California. She was blessed to have six great-grandchildren – Carson Pope, Mary Beth Pope, Max Pope, Preslie Pope, Seymour, Texas and Hadley and Cooper Gee, Dean, Texas. She was predeceased in death by her Father, Mother and precious sister, Jane (Atwood) Adams. Momma Tu, TooToo, Tutu, and Toots – as she was known by her grandchildren, great-grandchildren and friends near and far – gave her heart to all those whom she dearly loved.She will be missed for her unconditional love, spunky soul and grateful heart. The family wishes to extend heartfelt thanks to the loving caregivers at Just Like Home, Seymour, Texas and Hospice, Wichita Falls, Texas. In lieu of flowers, memorials may be made to Just Like Home, 1137 West California, Seymour, Texas 76380 and Hospice of Wichita Falls, 4909 Johnson Road, Wichita Falls, Texas 76310.